LASIK (laser-assisted in situ keratomileusis) is a laser eye surgery used to correct prescriptions of the eye. Patients usually have LASIK performed when they want to reduce or eliminate their dependence glasses or contact lenses. 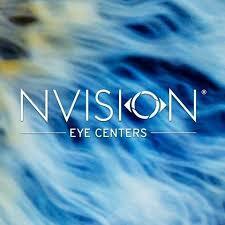 The vast majority of LASIK patients report monumental improvements in their vision, many with 20/20 vision. The surgery has a tremendous success rate, with approximately 97 percent of patients reporting satisfactory results, the highest satisfaction rate of any elective surgeries. In 2001, LASIK refractive eye surgery became the most common elective surgery in America. Since that time, millions of people have had their vision corrected with LASIK in more than 1,000 LASIK eye centers across the country. LASIK’s excellent track record has made it a popular choice for vision correction in the U.S.
You could be a candidate for LASIK if you are at least 18 years of age and suffer from a refractive error that impairs your vision. Your optometrist and surgeon are waiting for your vision to stabilize for at least 1-2 years, and checking to see if your eyes are healthy and free of diseases and infections. Most surgeons will wait until your mid-20’s. To find out more about LASIK and whether you are a candidate for the procedure, contact your New Optix Optometry eye doctor today. The surgeon will numb your eyes using anesthetic eye drops. Once your eye is numb, he or she will use a femtosecond laser to create a flap on your eye and lift it to expose the underlying cornea, called the stroma. An excimer laser is used to remove and reshape your corneal tissue, and the flap will be placed gently back over your eye. It is normal to experience some irritation in your eye in the hours immediately following your surgery, but this should subside by the morning after your procedure. It is an outpatient procedure, no stitches, no patches, and usually takes about 10 minutes total for both eyes. You will not be allowed to drive yourself home immediately after LASIK. Your eye will heal quickly, but it is important to avoid rubbing it or applying pressure to it in the days following your procedure. After resting the day of your procedure, you may be capable of returning to work as soon as the following day. Most patients are cleared to fly during their next day follow-up. As a precaution, you may be advised to avoid wearing eye make-up or applying any topical products to the area around your eyes in the first 14 days following LASIK surgery.